This Socony Parabase Curved sign is 15″ by 14″ and has mounting grommets on the four corners. This sign has a white background and a red and blue boarder. 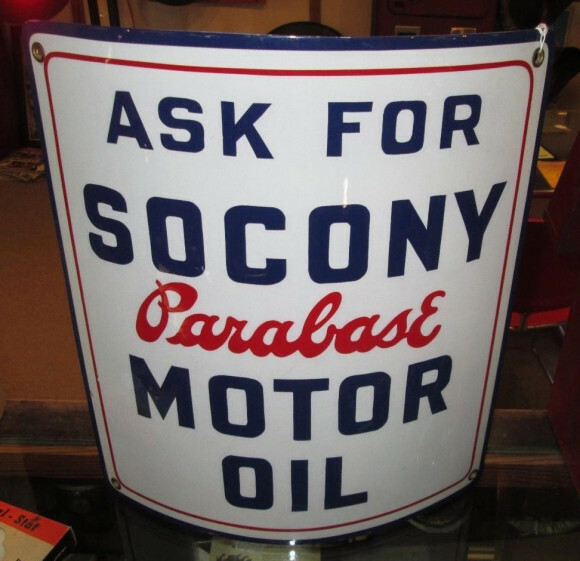 The text reads “Ask for Socony Parabase Motor Oil” and the word “Parabase” is written in script font.